Florida State University president John Thrasher announced on Monday that all of the school’s fraternities and sororities have been suspended indefinitely, the Washington Post reports. The restrictions are comprehensive; they forbid fraternities and sororities from indulging in intramural activities, parties, tailgating, and homecoming events, the New York Times reports. 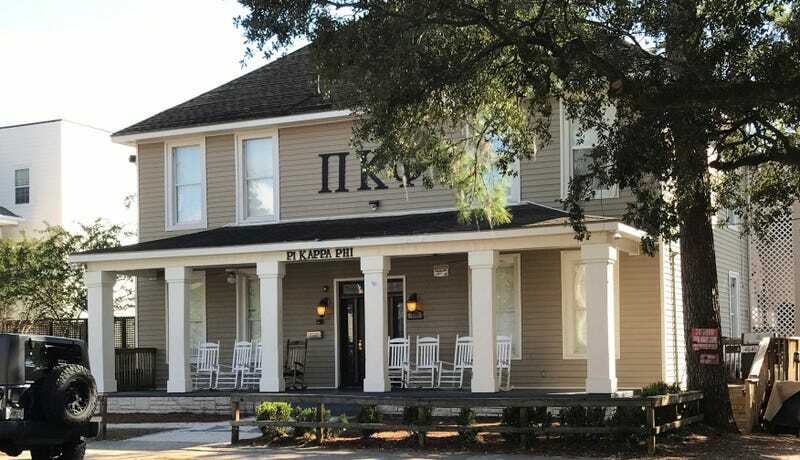 The decision to suspend campus Greek life came after the death of a student pledge on Friday (he died after attending a Pi Kappa Phi party, possibly from alcohol poisoning, according to the Tallahassee Police Department), and the separate, unrelated arrest of a fraternity brother on cocaine trafficking charges this Monday, according to the Times. FSU is attended by 41,000 students and hosts 55 fraternities and sororities. The Times notes that FSU is not the first school to adopt such a measure in an effort to change the culture of Greek life. After the death of a 19-year-old Penn State University student in February, the university temporarily banned alcohol from sorority and fraternity parties. And the death of a Louisiana State University fraternity pledge in September resulted in the freezing of Greek life activities for a week.